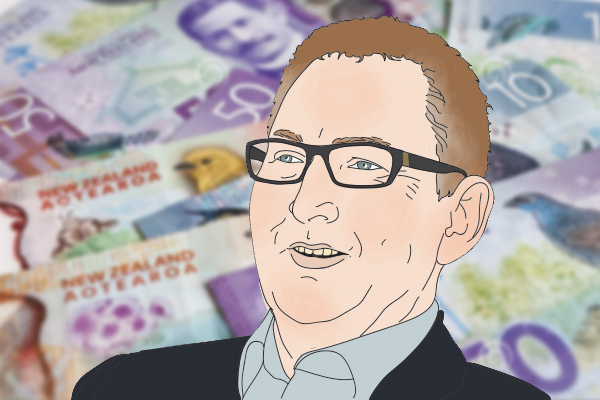 From having the top button of his shirt undone at press conferences, to giving one-on-one media interviews, offering greetings in Maori, Fijian and sign language, and the plain English Official Cash Rate review statement, subtle changes have been highly visible to central bank watchers since Adrian Orr became Reserve Bank Governor in late March. But what may demonstrate the biggest attitudinal change slipped out in an answer Orr gave at Thursday's Financial Stability Report press conference. With the Reserve Bank and Financial Markets Authority (FMA) probe into bank conduct and culture a key focus, the line in bold below is what really caught my attention. "It's a continuous challenge forever in this industry, chasing the short-term profit in a competitive environment. The marginal or final loan is the one that tips over. And then we all start again trying to get a longer term horizon around the responsible lending. The consumer at the end is really what we're about, and what we'll be talking to the banks a lot about through this conduct review," Orr said. The Reserve Bank's primary responsibilities are formulating and implementing monetary policy and promoting a sound and efficient financial system. Thus the regular set piece announcements from it are the issuing of its Monetary Policy Statements and Financial Stability Reports (FSR). In terms of financial stability, the emphasis has been on strong and stable banks, not protecting consumers. For example, with the much misunderstood restrictions on high loan-to-value ratio (LVRs) residential mortgage lending implemented by the Reserve Bank, the primary goal is to improve the resilience of the financial system to any major housing market correction. Therefore the Reserve Bank's aim has been to reduce the likelihood mortgage borrowers will default, which in turn reduces the magnitude of losses banks would sustain in said housing market correction. Thus in last November's FSR the Reserve Bank noted the share of banks’ mortgage portfolios with LVRs above 80% had dropped to under 8% from 21% when the policy was introduced in 2013. Whether the LVR restrictions were locking first home buyers out of the housing market as vested interests in the market claimed, wasn't really the point. The point was the big picture stuff, i.e. protecting the entire financial system rather than individual would-be house buyers. I use this example because it nicely encapsulates where the Reserve Bank's focus has been over the years. It certainly hasn't been on "the consumer at the end" as Orr suggested on Thursday. “The Reserve Bank of New Zealand regulates banks, insurers, and non-bank deposit takers (NBDTs) at a systemic level - i.e. to make sure the financial system remains sound." “We don’t regulate from an individual customer protection perspective and don’t have comment to offer about pricing of products and services offered by banks, insurers and NBDTs," a Reserve Bank spokesman said in 2015. No concern for "the consumer at the end" there then. Over the years the Reserve Bank has tended to stick to its knitting, something that I admit has frustrated me at times as a journalist. Witness another example. Insurer Youi. The appalling behaviour of Youi emerged through a painstaking investigation by freelance journalist Diana Clement published by interest.co.nz in 2016 here  and here . Youi was ultimately fined $320,000 for misleading consumers  with ambush sales tactics after the Commerce Commission filed charges relating to misrepresentations made to consumers. As Clement herself put it ; "In my 30 years as a journalist, 20 of those writing about financial services, the Youi prosecution is the worst case of mis-selling to consumers I have ever encountered. I have to say, hand on heart, that I have never come across a company whose sales methods were so inappropriate for the product that they are selling." Indeed Youi's behaviour stands alongside some of the dire examples  of bad conduct exposed in Australia's Royal Commission  into Misconduct in the Banking, Superannuation and Financial Services Industry. So what did the Reserve Bank have to say  about it? Remembering it is prudential regulator for insurers, as it is for banks, with responsibilities for soundness and stability but not conduct, which is the domain of the FMA. "While the issues raised and allegations made in the article by Diana Clement are important and serious, relationships between insurers and customers are governed by consumer protections laws and not by the Reserve Bank or the Insurance (Prudential Supervision) Act 2010. The Reserve Bank’s focus is on systemic issues and maintaining the stability of the financial system, rather than on the way that institutions and customers interact with each other," a Reserve Bank spokesman said in 2016. "The Insurance (Prudential Supervision) Act 2010 doesn’t give the Reserve Bank powers to regulate for or supervise the way that an insurer interacts with its customers. The Commerce Commission, which your article notes is already involved, is the correct agency for these issues." If behaviour by a financial services provider as ghastly as Youi's emerges now, I imagine an Orr-led Reserve Bank having a bit more to say than that. Indeed, the Reserve Bank under Orr has waded in to a conduct and culture review of banks and life insurers in partnership with the FMA off the back of the Australian Royal Commission. There is an argument that Orr and the Reserve Bank are acting outside their mandate, should stick to their financial stability knitting and leave conduct issues to the FMA. The other side of the coin is if conduct and culture at a bank is really bad, then it could flow through to risk taking and management accountability, potentially becoming a prudential issue. Basically if you don't fix a major culture problem inside a bank, ultimately everything else could start to go wrong. Personally I welcome the Reserve Bank thinking of consumers, be they borrowers, savers or insurance policyholders. By taking an interest in consumer outcomes Orr is humanising the Reserve Bank, and making it more relevant to the general public. However, if this is the path the Reserve Bank wants to go down, and has government support to do so, then perhaps phase 2 of the Government's Reserve Bank Act review  is a good opportunity to enshrine this more consumer outcomes focused role into the Reserve Bank Act. The terms of reference for Phase 2 are due to be published during June.